Another controversy around Kejriwal: Top activist asks, why shouldn't women make a fuss? In a fresh controversy surrounding Delhi chief minister Arvind Kejriwal, women activists have taken strong exception to his latest statement on the International Women’s Day (IWD), where he asked men to follow his wife and mother who had supported him during the Aam Admi Party (AAP) campaign in Delhi by continuing their household work. “During my fight against corruption, my wife ran the house while my mother supported me,” he had said. “Kejriwal cited the role of his wife and mother in running the house and supporting him while he fought against corruption. This sounds ominously like 'Men will lead, women will run the house and support men who lead'. Is it because he sees this as the only fit role for women that he has no women in his Cabinet and his party's political affairs committee (PAC)?”, Krishan said. 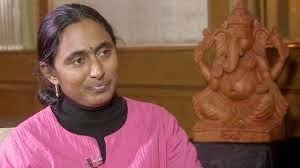 “By praising women for not making a fuss about this, you have insulted the legacy of International Women's Day, the day commemorating a century of 'fuss' and fight by women”, Krishnan, who edits a Communist journal, “Liberation, and heads All-India Progressive Women’s Association, said. Extremely well put.. Thanks Kavita!! I agree with Shabnam and Kavita that justice, equality and freedom for women is a must and that is the message of the International Women's Day. But does that mean reversal of roles or an equal sharing of responsibilities or no exceptional circumstances. If the Delhi CM was busy campaigning and his wife and mother took care of the home that does not mean an affront to women. I am sure the Delhi CM when not busy must be contributing to household chores or equally sharing the load. Both an extreme feminist approach or an extreme male chauvinist approach will not help in the aim to create gender equality. The answer lies somewhere in between. There are no straight answers and solutions.